The wait is over! 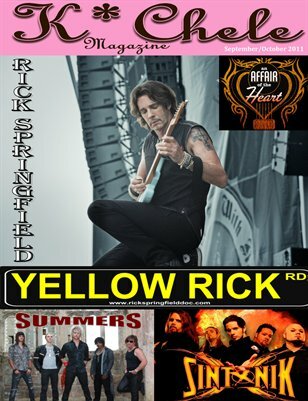 Rick Springfield is this issues Cover Story as the release of his documentary nears. Get to know other local and national artists and bands also inside including Sintonik, Summers, Elaine Faye, Honey James Band, Fuhnetik Union, Crimson Countess, DOT.COM and Lizh. Plus Read NFL picks by sports writer Jared Pike and industry related article by Mitchie Berlingeri. Meet Platinum Producer Kimo Kaulani, catch up with Tammie Davis and The Party Diva.